Online retailer Amazon has announced three new wind projects as part of its goal to power its entire web services infrastructure with renewable energy. Amazon Web Services (AWS) is the US firm’s cloud computing platform. The three new wind projects will power AWS data centres in Ireland, Sweden, and the US. AWS will buy the output of a new 91.2MW project in Donegal, Ireland, expected to be online by the end of 2021. The US-based company will also purchase 91MW of power from a new wind farm in Bäckhammar, Sweden, to deliver energy by the end of 2020. Thirdly, a wind project in California, US, will produce up to 47MW of wind power to AWS by the end of 2020. The names of the projects or developers have not been disclosed. The combined capacity of over 229MW, is expected to generate more than 670GWh annually. 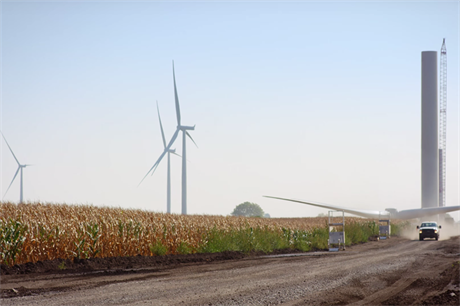 In the US, AWS already buys wind power from four projects totaling 711.8MW, in Texas, Indiana, Ohio and North Carolina, according to Windpower Intelligence, the research arm of Windpower Monthly. "We expect more projects in 2019 as we continue toward our goal of powering all AWS global infrastructure with renewable energy," said Peter DeSantis, vice president of global infrastructure and customer support at Amazon Web Services. Even so, not all of AWS’s announced power purchase agreements (PPAs) for wind power have come to fruition. AWS was to buy the electricity from Innogy’s 242MW Scioto Ridge project, in development in Ohio, but the web company backed out. "Amazon and EverPower jointly announced the PPA in 2016, but due to complications with the timely completion of the project, Amazon and EverPower later agreed they would no longer move forward with the project together," said a spokeswoman for Innogy.